THE ADMINISTRATION OF Boston Mayor Marty Walsh said it is reviewing an agreement the city struck with the Boston Red Sox in October that formalized a long-standing arrangement allowing the club to close off Van Ness Street during Fenway Park events. The agreement, signed by Red Sox president Larry Lucchino and Mayor Thomas Menino’s police and transportation commissioners, makes permanent what appears to have been an informal arrangement between the club and the city allowing the team to close off the section of Van Ness next to Fenway during games. 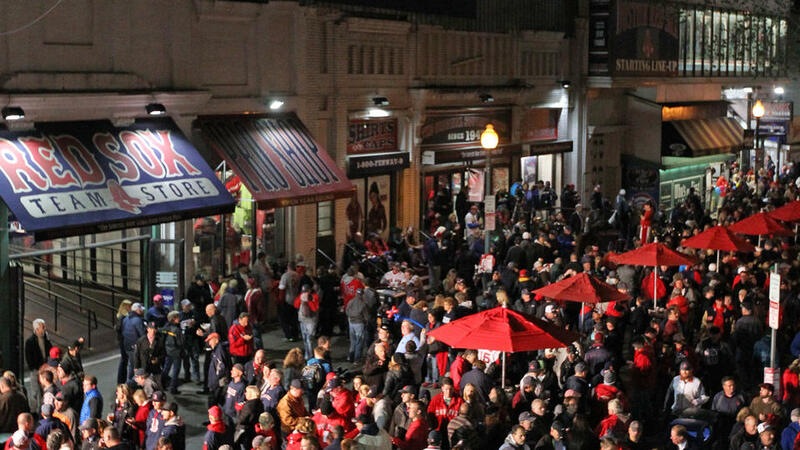 The Red Sox typically used part of the street for employee parking, paying no fee to the city to do so. “We are currently reviewing the agreement, and compensation is one of the issues that we will consider during this review,” said Walsh spokeswoman Kate Norton. The Walsh administration said yesterday it is examining two 2013 contracts the city inked with the Red Sox granting the team exclusive rights to public streets — arrangements made in the final months of Mayor Thomas M. Menino’s tenure. “We are currently reviewing the agreement, and compensation is one of the issues that we will consider during this review,” Kate Norton, a spokeswoman for Mayor Martin J. Walsh, said of a little-known “public safety order” city officials signed in October giving the Red Sox permission to seal off Van Ness Street during game days and other major events at Fenway. Nowhere in the piece is CommonWealth given credit. 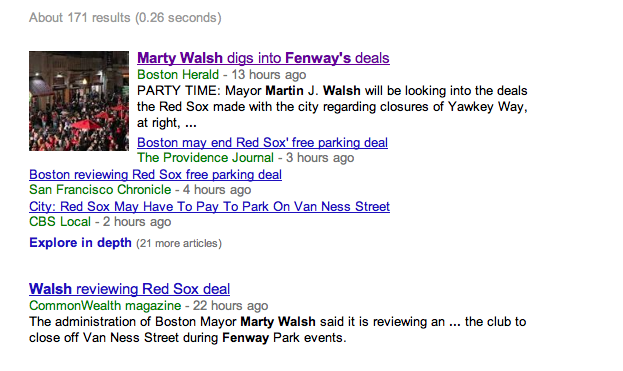 The Boston Globe, meanwhile, played catch-up, posting a piece to its website at 6 am. But at least the Globe gave credit where credit’s due. The Walsh review was first reported by Commonwealth Magazine online Thursday. Cold comfort, but better than the nothingburgers CommonWealth got from everyone else, yeah?